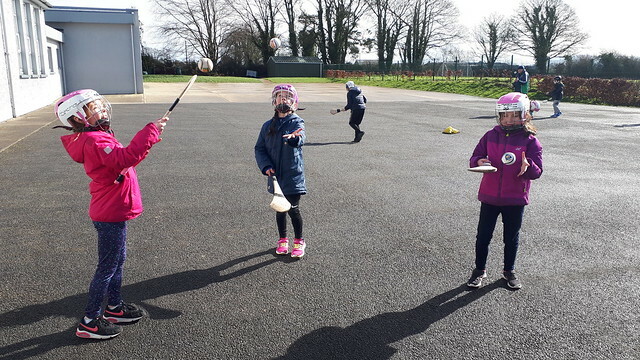 Second class are getting to grips with their camogie and hurling skills with 4 weeks of coaching. 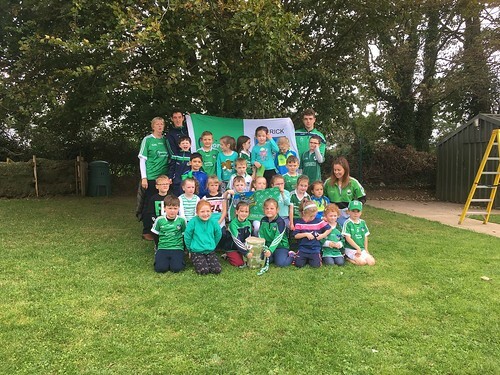 We were delighted to welcome the Liam Mc Carthy cup on Wednesday 26th September. 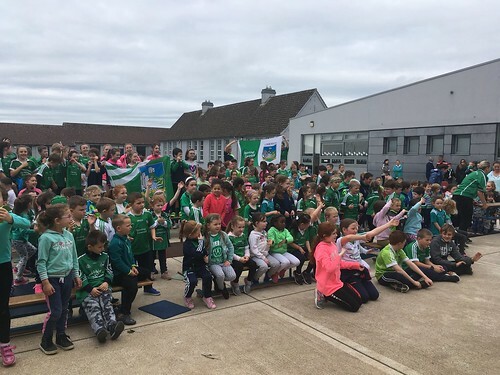 This was a wonderful occasion for the school as Nickie Quaid, former teacher and Limerick's goalie as well as David Reidy, former pupil accompanied the cup to Bruree. 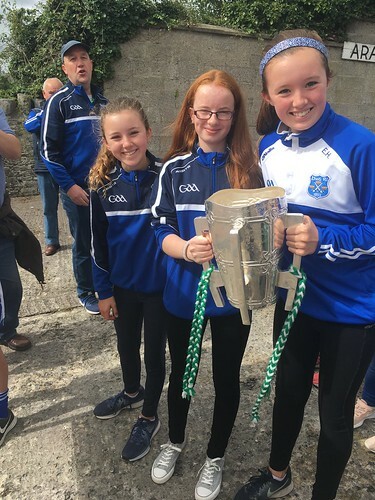 All the classes got the opportunity to get their photo with the cup and many of the children got autographs and photos with their heroes. 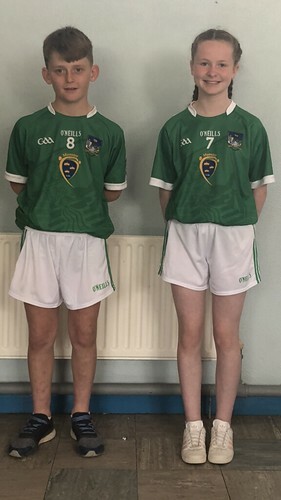 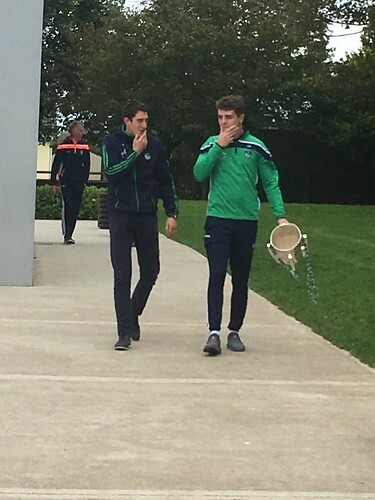 Well done to the both of these hurling and camogie players who had the opportunity to play at half time in Pairce Caoimh and Cusack's Park duing the Limerick Senior Championship Hurling Games. 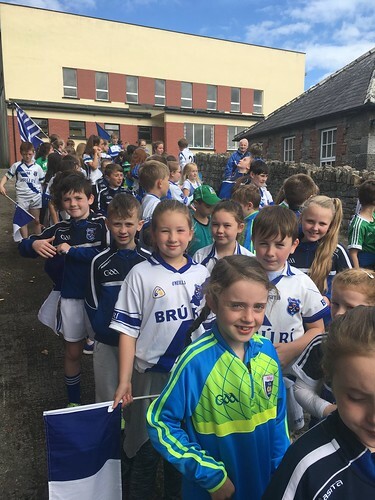 What a day for Bruree GAA on Sunday September 9th - it was a special day commemorating 125years of the GAA in Bruree as well as the official opening of the new dressing rooms and preschool complex. 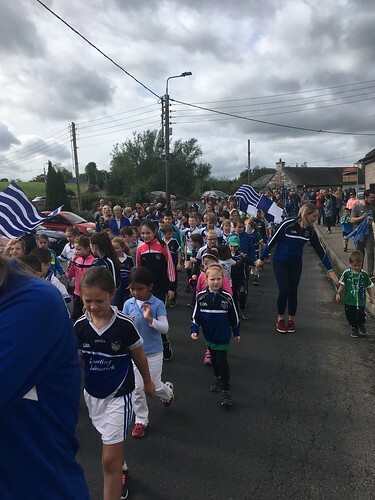 The children marched through the village behind the Limerick Pipe Band and were very proud to be joined by Limerick Senior Hurling Manager John Kiely and the Liam Mc Carthy cup. 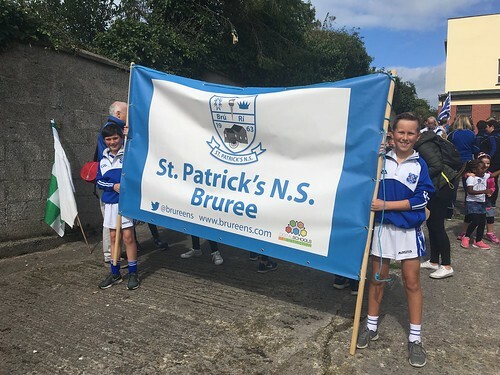 It was a great day of celebration for the parish of Bruree. 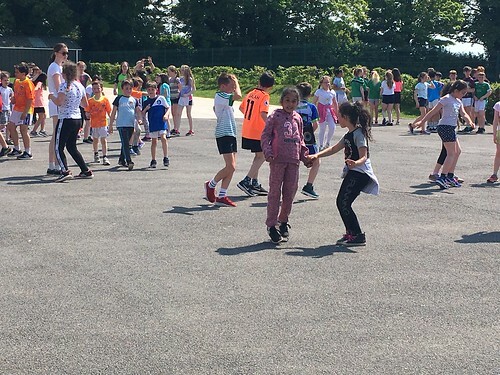 On Thursday 24th May, the children were treated to a lunchtime disco! 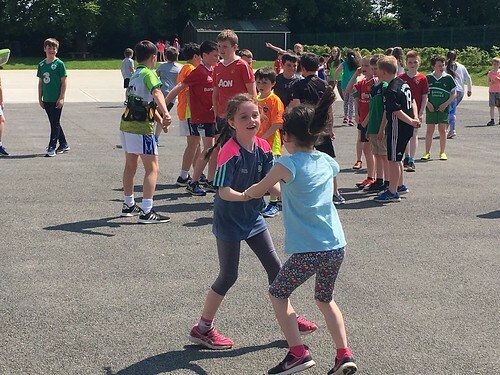 After the great activities associated with Active April in the school including 10@10, active homework and organised lunchtime hurling and yard games, this was a great treat for all the children to enjoy being active together.